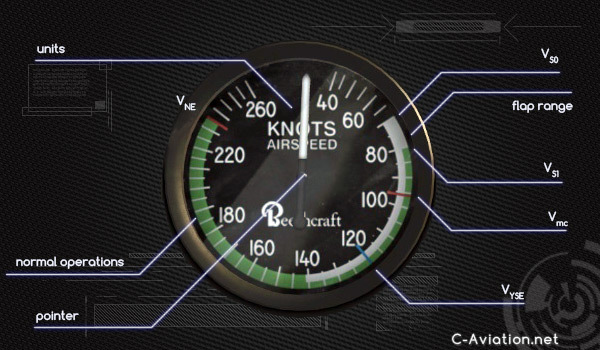 V Speeds – the most important speeds in aircraft operations. Vs – stall, Vne – never exceed, Vx and Vy – climb… always remember the correct values for the plane you fly. Vs – stall speed; minimum speed of straight and level flight when aircraft is still controllable. Remeber that banks and G-force increase stall speed (accelerated stall speed is described as Vsacc). Vs0 – stall speed in landing configuration. Stall speed for straight and level flight with extended flaps and gear. Lower than Vs.
Vs is usually given for Maximum Takeoff Weight – the actual stall speed will be lower. Treat it as a safety margin and do not try your chances at or below Vs.
Vne – never exceed speed. Marked with a red line on your airspeed indicator. Vfe – maximum flap extended speed. (the end of white arc on airspeed indicator). Check your aircraft manual for information whether it concerns all flaps settings or a specific range of flaps settings. For example Vfe for Cessna 172 is 85 knots (and white arc ends there). But a safe speed for flap extension (the first notch) is 100 or 110 depending on a model. The manual can also specify additional restrictions – for example maximum flaps extended speed may be higher than maximum extension or retraction speed. VA – design maneuvering speed. The max. speed which allows for a full deflection of control surfaces. Above this speed the G-force caused by a full deflection maneuver may cause structural damage. Vno – maximum speed for normal operations. The end of green band on airspeed indicator. It’s also the maximum speed in turbulent air. Vx – best angle of flight speed. Useful when there are any obstacles on the way. Gives the best altitude gain for the distance traveled. Vy – best rate of climb speed. The fastest way to climb to desired altitude. V1 Takeoff decision speed. Takeoff can not be safely aborted beyond this speed. A multi engine plane should continue the take-off even in an event of engine failure. V1 should be calculated before departure. V2 Takeoff safety speed. The speed which allows for a safe climb with one engine inoperable. VA Design maneuvering speed. (max. control deflection speed). VB Design speed for maximum gust intensity. VDF Demonstrated flight dive speed. VFE Maximum flap extended speed. (detailed description above). VH Maximum speed in level flight at maximum continuous power. VLE Maximum landing gear extended speed. (max. extension and retraction speed may be lower – VLO). VLO Maximum landing gear operating speed. (max. extension and retraction speed). Vmcl Minimum control speed in the landing configuration with one engine inoperative. VMO Maximum operating limit speed. VNO Maximum structural cruising speed or maximum speed for normal operations. VRef Landing reference speed / threshold crossing speed. VS0 Stall speed (landing configuration). VS1 Stall speed (specific configuration – for example flaps extended, gear retracted). VSW Speed at which the stall warning will occur. 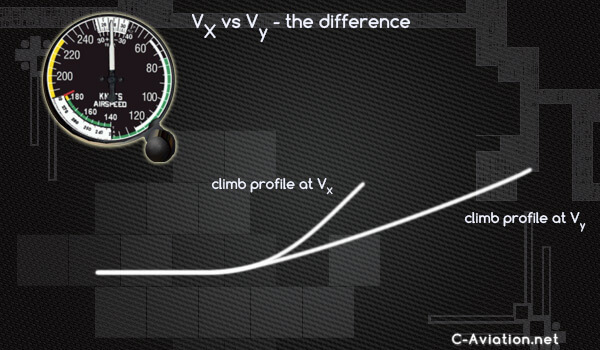 VX Best angle of climb speed. VY Best rate of climb speed. 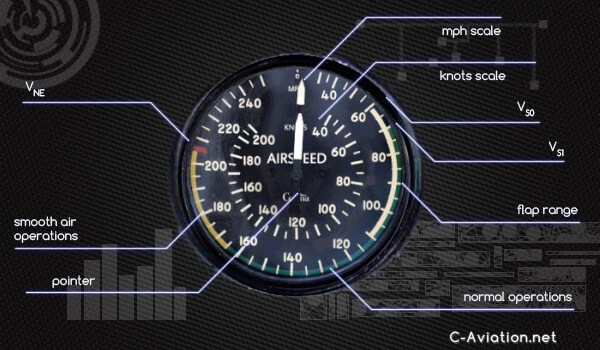 V Speeds - the most important speeds in aircraft operations. Vs - stall, Vne - never exceed, Vx and Vy - climb... always remember the correct values for the plane you fly.